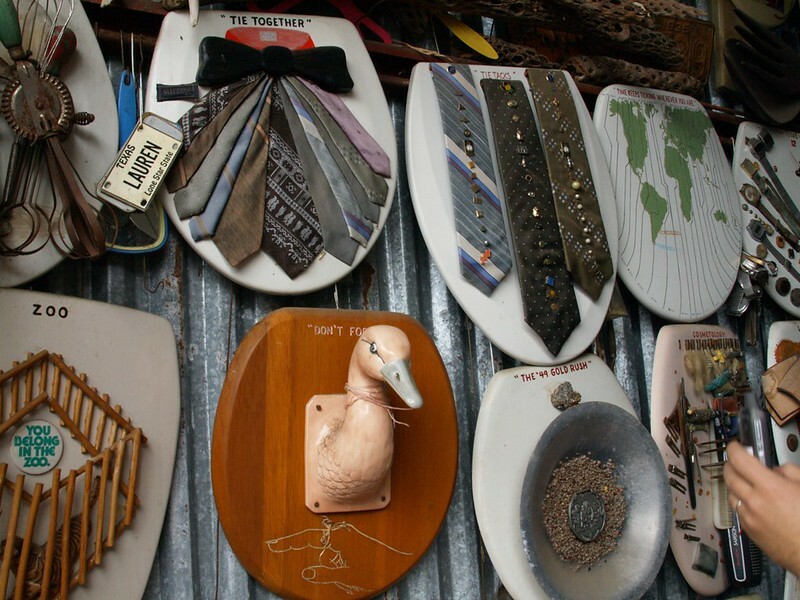 Oyster Club/Rude Mechs outing to San Antonio – 3rd stop, the Toilet Seat Museum, Barney Smith, proprietor. This guy is a real character. He made all these, and they’re stored in a garage in a residential neighborhood. He’s very proud of his appearences on Montel Williams, The View, and several other TV Shows. Image published by juliegomoll on 2009-03-08 03:31:40 and used under Creative Commons license. Describe DeMar DeRozan’s kicks tonight with one word..